Not everyone wants the bulkiness of hard luggage. More manufacturers are now building clever mounting systems into their machines, to avoid the typical tubular frames required, but besides tying you to their accessory catalogue, it’s still something many bikers don’t feel the need to have. 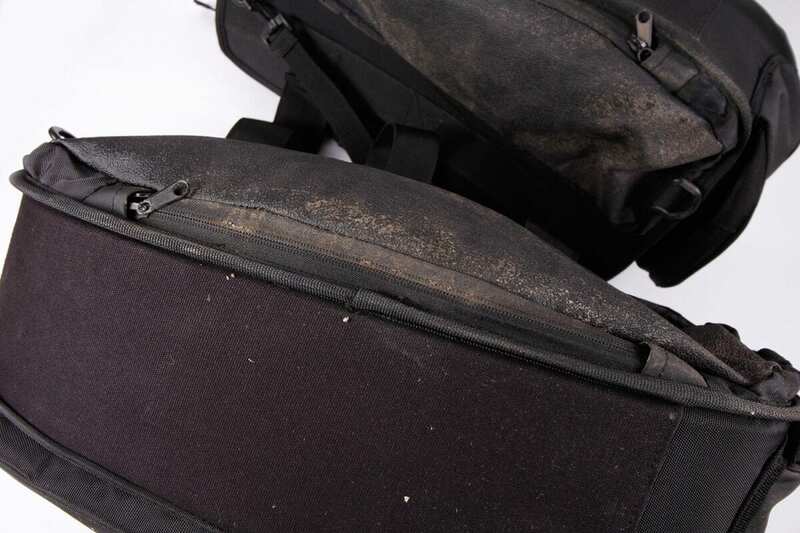 If you’re not usually carring a lot of extra gear, removable throw-over panniers are a great solution. 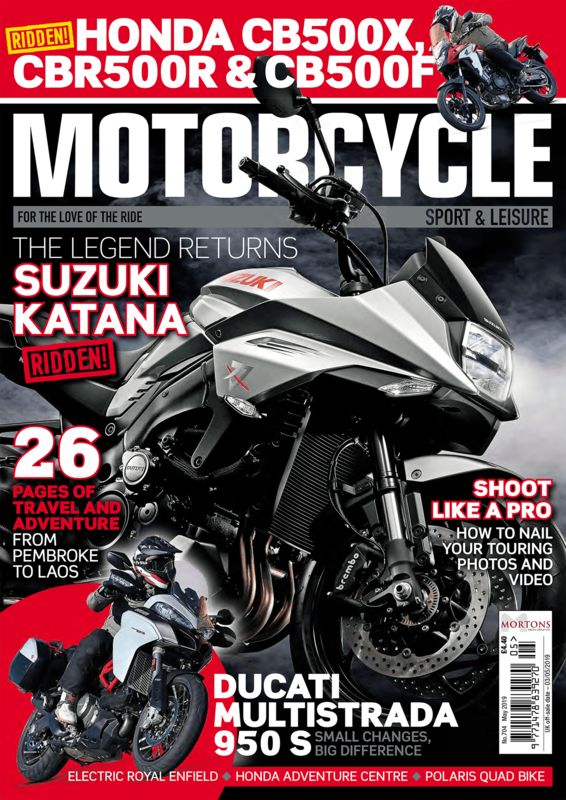 I’ve used these most on the XJR1300 I was running recently – the café racer-inspired styling of the new machine would make it almost criminal to sling a top-box on the back. 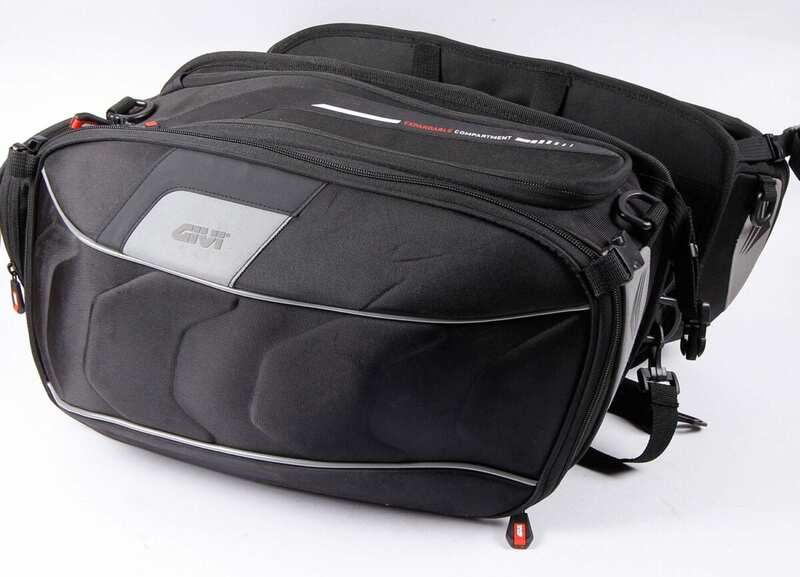 Each pannier holds up to 25 litres when expanded, with a maximum load of 5kg. 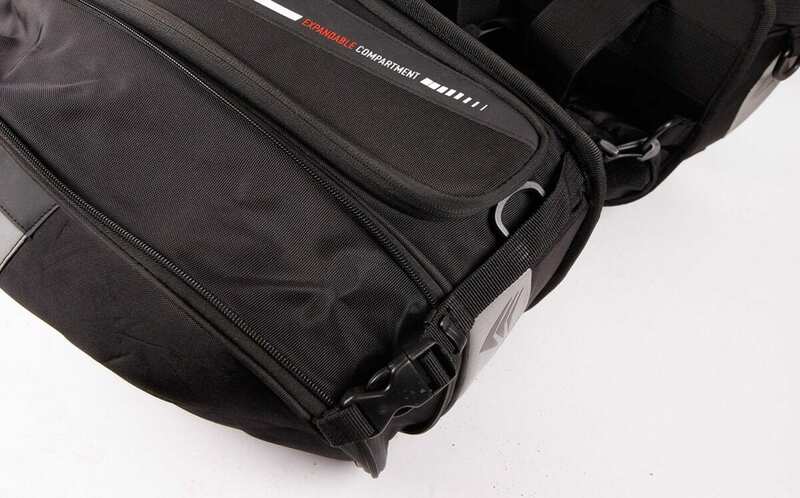 The bags have wide, Velcro-fastening straps that loop under and over your pillion seat or tail unit, plus plastic loops and straps to tie to various points on the bike. Finding the best position can take a while, but once you’ve worked it out, you can leave the straps ‘set’ on the bags. 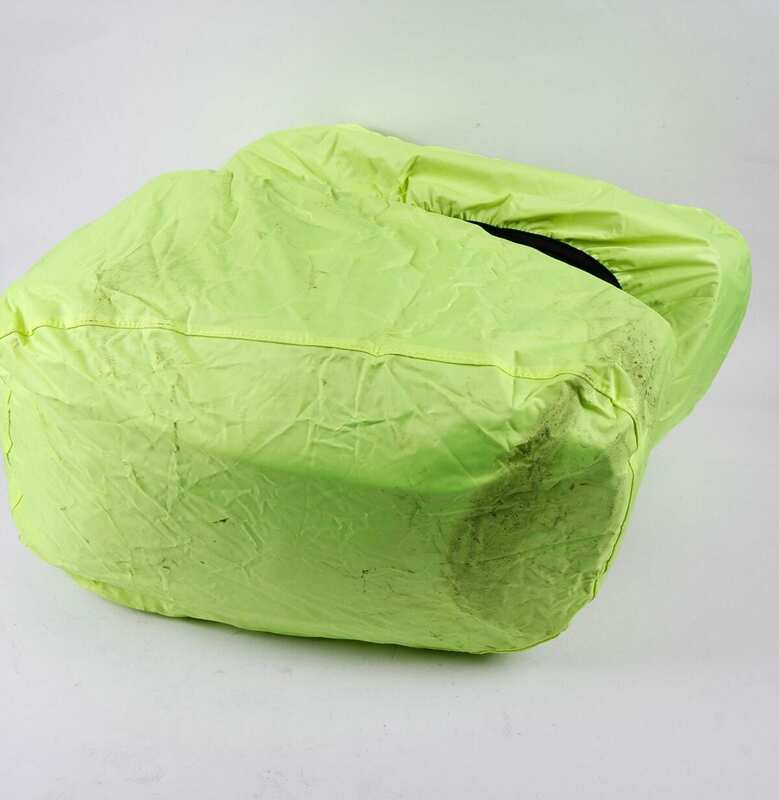 Though the zips are water resistant, both bags have a hi-viz rain cover fixed into a pocket in the base. It does a good job of covering the bags, and won’t get lost. 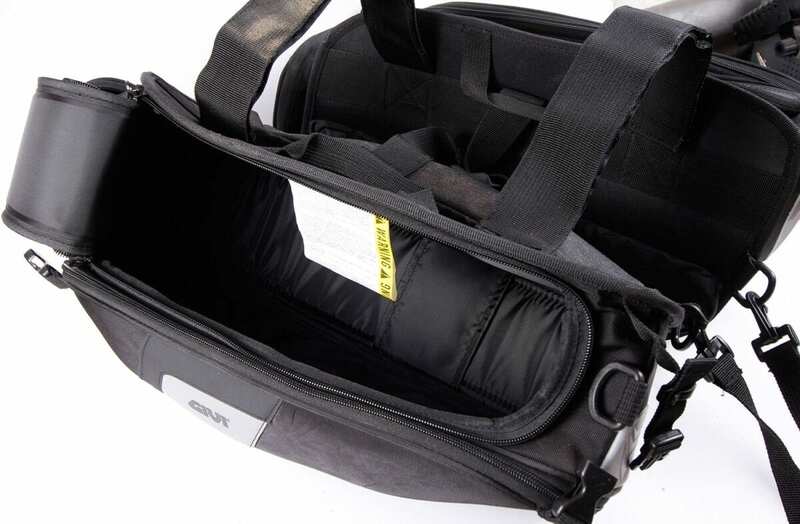 The main compartment is firm, so they won’t squash flat when storing, but it does make loading through the top aperture easier. As the sides don’t open, it’s easy to get to your gear – if you’ve packed it at the top – without everything else falling out. Of course, soft luggage doesn’t offer the security of hard luggage, but the main zip can be secured with a small padlock if you’re not going to be away from the bike for long. 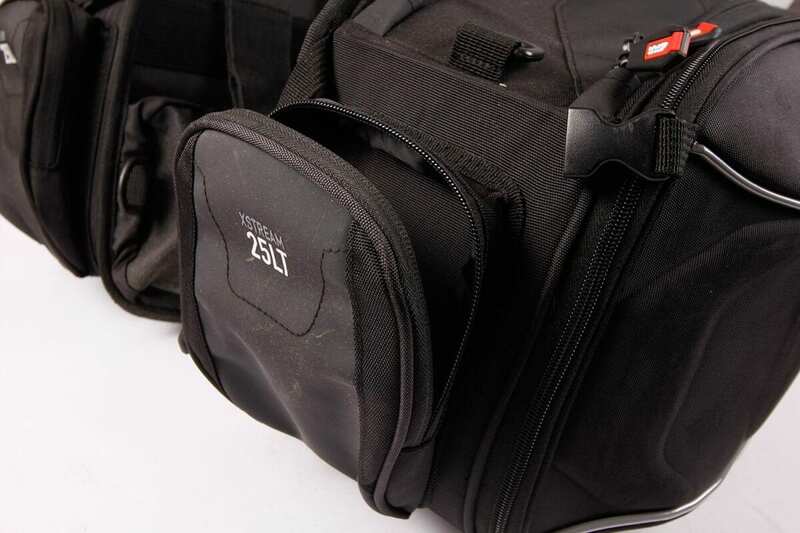 A pocket on the rear of each bag is handy for small extras, but can’t be secured. 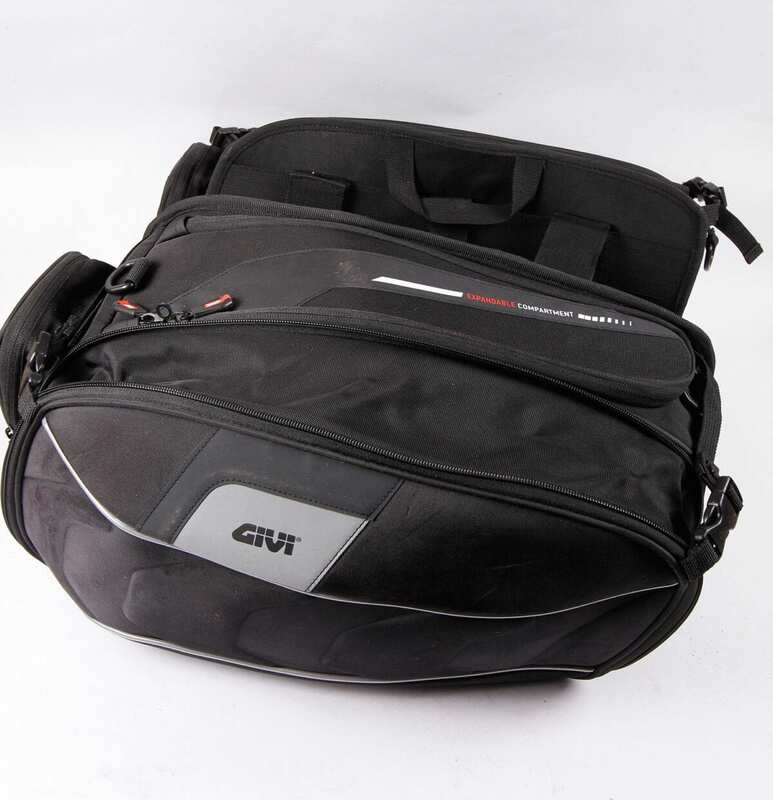 The Givis are a good-looking, practical solution to longer trips when you don’t want to be weighed down with a rucksack, or reaching over a tank bag.